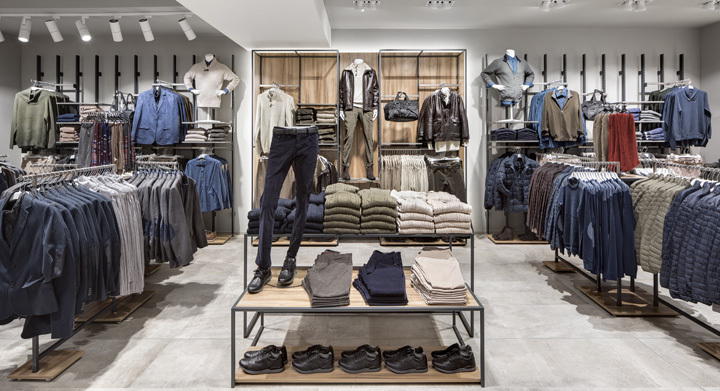 A new concept store for the Italian fashion family brand. 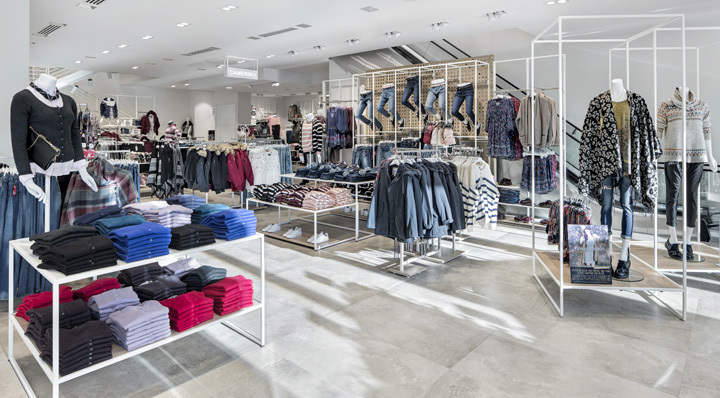 Thanks to high-quality collections and competitive prices, Piazza Italia has become a fashion retail landmark, gaining confidence from consumers over the years and expanding both in Italy and abroad. 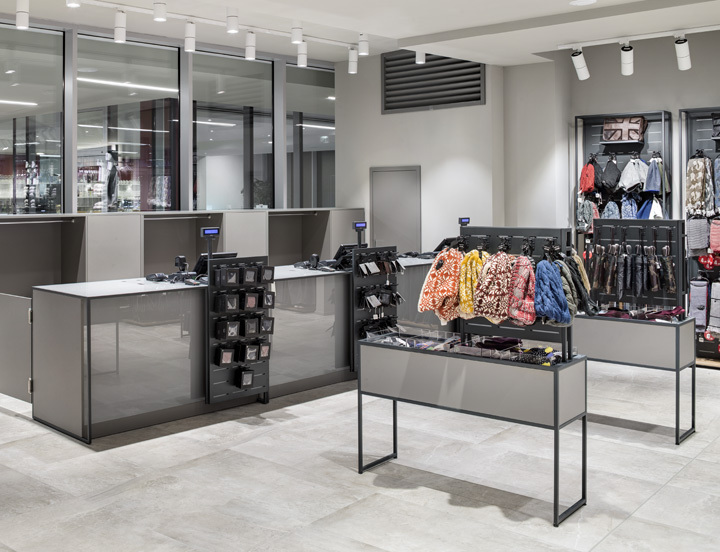 For 14 years, Grottini Retail Environments has been working together with Piazza Italia in its constant evolution in both designing and making new retail formats. 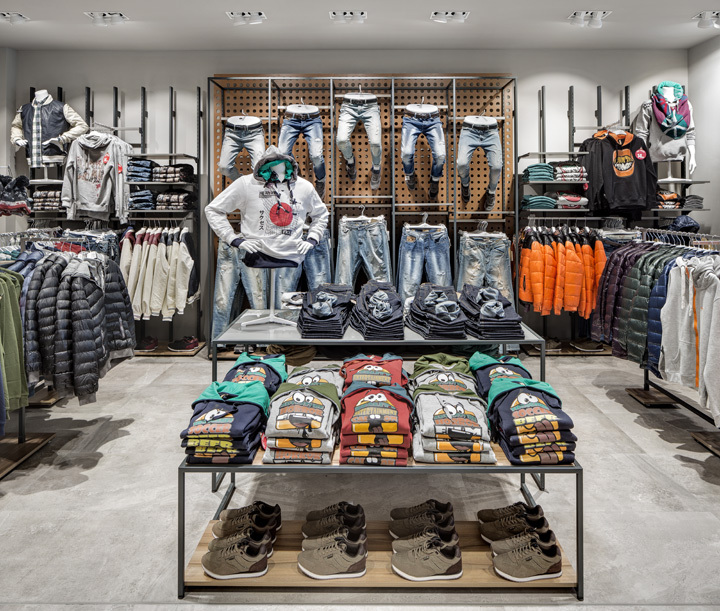 The new retail design format, has been introduced with the inauguration of the Riva del Garda store opening, located within the Blue Garden shopping center and confirms this long-lasting partnership. Piazza Italia is refreshing its look after four years of the current design with a more contemporary style and while keeping the same color scheme as before, the new design introduces modern materials and finishes such as sandblasted steel, micro-peened stainless steel, natural wood, and back-painted glass. 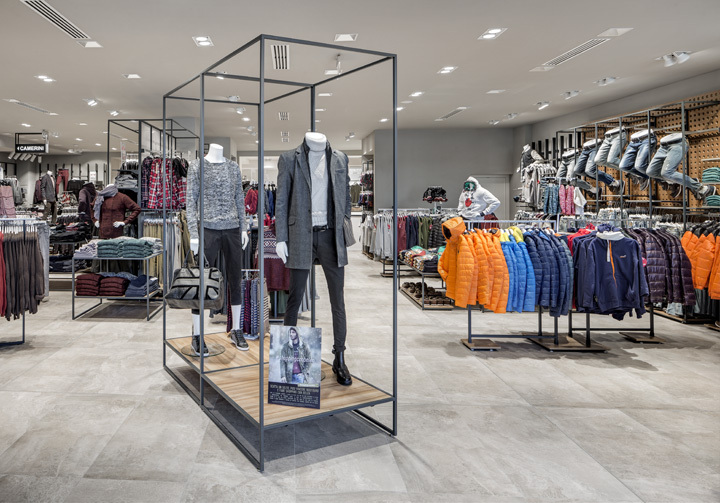 The floor has also been made more neutral and almost industrial like thus giving a modern touch to the store environment. 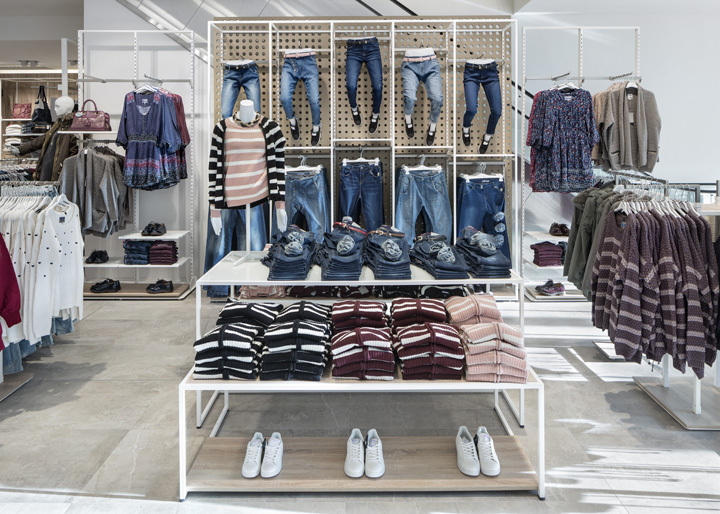 The minimalist style is also reflected in the furnishings that lend to a greater visibility of all the collections throughout the store. The mannequins have also been redesigned and customized so that they integrate with the new store design. 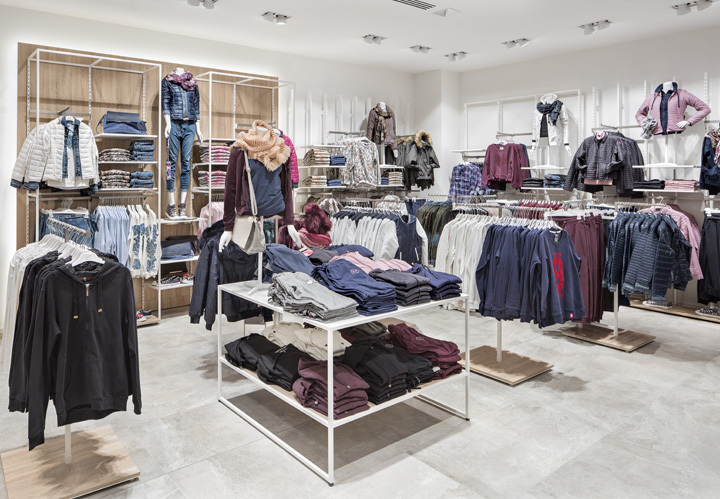 For the lighting, a recessed LED lighting solution has been used in nearly all areas of the retail space, thus minimizing the presence of cuts or light tracks in the ceilings. 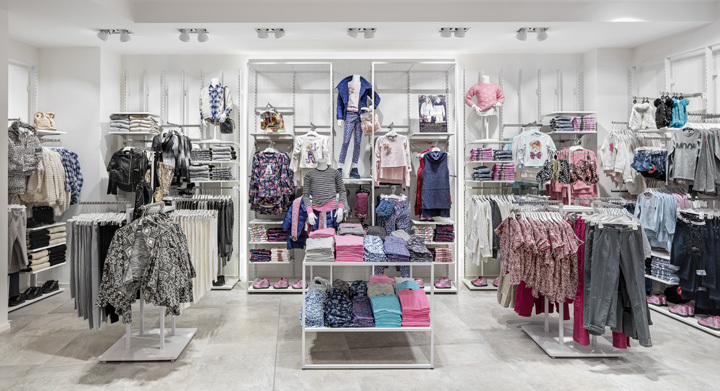 The careful teamwork between Grottini's design team and Piazza Italia has made the creation of this new retail format possible and keeping it geared towards modern families who are always looking for high-quality and competitive prices.